Learning an oriental language like Chinese or Japanese can be very complicated. Their somewhat different pronunciation, together with its totally different calligraphy make learning these languages very complicated. Nevertheless, to understand single words it can come in very handy to have an application like Hunter Chinese Dictionary. 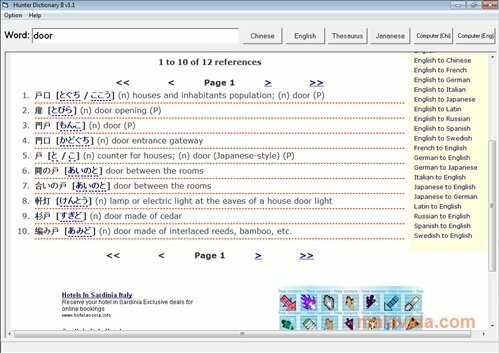 This program is very easy to use, because writing a word in English, it allows us to know its translation written in Chinese or Japanese (depending on what we choose), so in case we have any doubt, we can solve it quickly. 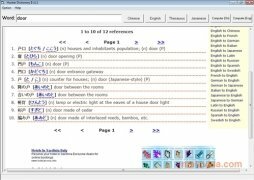 This program will not help us to learn the language from scratch, but it will probably be of great help when it comes to writing, because it can obtain the definition of the word in English. Hunter Chinese Dictionary performs these translations over Internet, searching in different websites and through the most important search engines. What's more, it easily allows to customize these services. To sum up, a simple and easy-to-use program that we can surely use while learning languages. For this application to work properly, it requires an Internet connection. This download requires a ZIP compatible compressor.